Police in the US are searching for a Scottish man who went missing during a visit to a beach in California. Kim Gordon, from Inverness, was reported missing on Monday after reportedly going for a swim at Monastery Beach in Carmel. 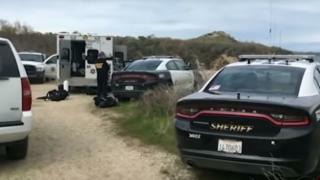 However, the Monterey County Sheriff's Department said police divers had failed to find any sign of Mr Gordon after a three-day search. US officers are now exploring the possibility that he may still be alive. Monastery Beach is a well-known beauty spot, but is also known for its strong currents and unpredictable waves. The sheriff's department said they had received a 911 call on Monday to say Mr Gordon had gone into the water and had not been seen since. A spokesman said Mr Gordon was still being considered as a missing person, but his disappearance was now considered to be "under suspicious circumstances". He added that the search for Mr Gordon was continuing, but officers were exploring the possibility that he may have tried to fake his own death.